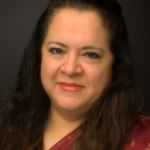 Dr. Aneeta Madhok, is the Managing Director at Open Spaces Consulting. She is a professionally certified leadership development coach and trainer. A global professional, HR systems expert, people person, creative thinker & writer, much sought after speaker, academician of repute, behavioral scientist and experienced trainer. Aneeta has coached for over fifteen years, and professionally for the last five years. With an emphasis in coaching for women in management boards, Aneeta also coaches CEO’s, senior executives, and professionals who face significant challenges navigating fast changing environments. 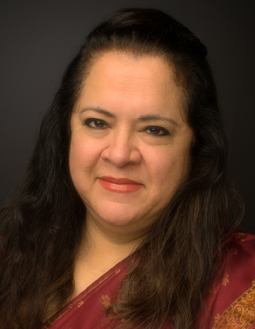 Aneeta’s practice includes individual clients in several countries and varied professions. She is also a frequent speaker about and teacher of coaching skills around the country as well as a lead instructor for several workshops for the corporate. She partners with organizations in the design of coaching interventions to build internal leadership potential. Aneeta’s competencies developed over 33 years of professional practice enable her to be a coach who touches and transforms lives and careers, and a trainer who actually transfers learning into the participants through proven methods and practices. A deep insight into people matters has resulted in high repeat demand for her personality profiling, coaching and skill building training services in the areas of emotional intelligence, performance management, and behavioral skills. She has conducted over 200 workshops and done over 300 hours of coaching with organizational leaders. She is accredited in the usage of The Leadership Circle, MBTI, FIRO-B, Thomas Profiling, Belbin Team Roles, Erickson Coaching framework, SHRM Master Trainer and is a Fellow of Sumedhas Academy for Human Context. She has served the management consulting profession as Chairperson (2009-2011) of the International Council of Management Consulting Institutes, which has a presence over 50 countries, and earlier as President of Institute of Management Consultants of India. Dr. Madhok qualified with an honors degree in Psychology from Delhi University and MBA in HRD from XLRI, Jamshedpur, followed by a PhD in Managerial Leadership from Psychology Department of Punjab University in Chandigarh India. Aneeta is also an expert and insightful Tarot Cards reader with a wide clientele for The Tarot Connection in Dubai and India.